It's Friday night, and the rest of kids my age are out partying or having dinner with friends or officemates. I am, however, detained in the lab, figuring out how to come up with decent experimental results that could potentially change the world. This part is hyperbole, of course. My being here is to make sure I get past first year medicine by finishing a scientific project. At this point, I don't know if we're ever going to generate results—I work with a group of 16—just in time for the deadline, but doesn't uncertainty make scientific pursuits more exciting? 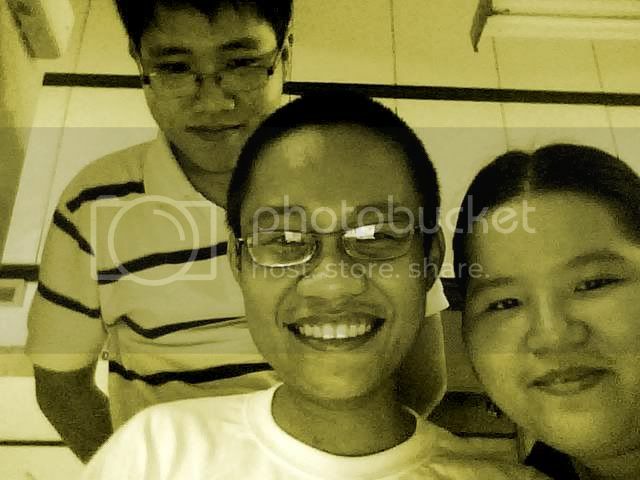 Here I am with Marvyn Chan and Lennie Chua. We stuffed ourselves with many packs of pancit canton while our experiments were cooking. It's great company that makes long hours in the lab memorable. Even in the troubling absence of useful results.